Endeavor Schools is expanding its presence in the northwest with the addition of Montessori of Alameda in Portland, Oregon. As a member of the American Montessori Society, Montessori of Alameda offers bilingual preschool and Kindergarten education, as well as teacher education services. Serving children between the ages of 12 weeks and 6 years, Montessori of Alameda offers high-quality Montessori programs that encourage children to learn to work together as a community while caring for each other and the environment. Founded in 1991, Montessori of Alameda has developed and implemented a hands-on Montessori curriculum that is rich in art, language, sensorial and cultural experiences. The foundations of the curriculum lie in self-motivated critical thinking and self-discovery that will lead to a life-long pursuit of knowledge. The school’s philosophy is based on creating a community of children and adults based on the principles of respect, individuality, personal responsibility and cooperation. As a certified Oregon Green School, Montessori of Alameda places a heavy focus on nature and caring for the earth, which involves school-wide conservation efforts, such as reducing waste and increasing recycling efforts. 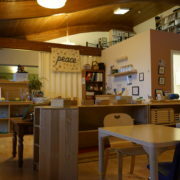 For more information about Montessori of Alameda in Portland, Oregon, call 503-335-3321 or visit http://www.montessoriofalameda.com.